Our purpose is to proactively support SMEs in accessing flexible finance for their businesses. Our products can help you and your business to succeed. Why is the Strategic Banking Corporation of Ireland (SBCI) different? We are not a bank. We do not compete directly with other finance providers. We are an SME focused organisation that facilitates the provision of new financing products to small and medium businesses.  We are currently working to change the range and profile of SME finance providers in Ireland. We will achieve this by working with existing and new providers to develop enhanced products, and by supporting new entrants to the SME lending market. Our approach will create a broader and more dynamic environment for the provision of finance to SMEs. Our ambition is to ensure that in future, business in Ireland will have improved access to funding during all stages of the economic cycle that meets their needs as they grow. A core objective of the SBCI is to generate competition and choice for SMEs seeking finance in the Irish market. We will do this by making innovative products available through both the traditional banking sector as well as new and non-traditional lenders.